In 2010, WhatsApp was a buggy messaging app with limited features. As its user base grew, WhatsApp was updated with new features. 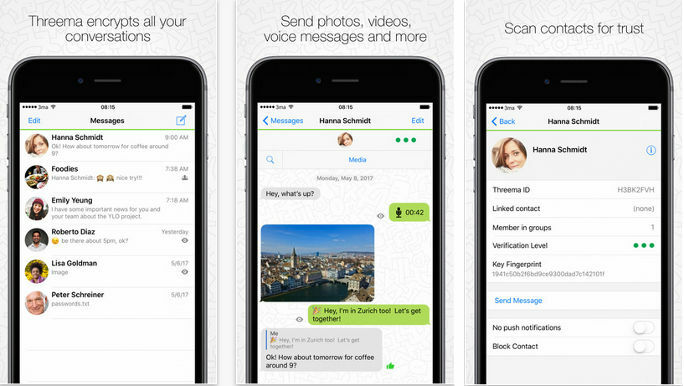 The latest version of WhatsApp is similar to social networking apps. It allows you to post ephemeral status updates, comment on friend’s status, etc. Although WhatsApp has over a billion active users, you cannot find a person by their name or city. You can send messages to only those users who are in your contact list. This is the only difference between WhatsApp and most popular social networking site i.e. FB. WhatsApp is a great messaging app, but it has some serious drawbacks. WhatsApp claims to encrypts every sent or received messages, but it shares the user data with FB. Facebook uses this data to recommend better Ads to its users and generate more ad revenue. This move by WP hasn’t gone well with a lot of users. Furthermore, users who use WhatsApp for business communication will find the new features of WhatsApp distracting or irritating. Users who are concerned about their privacy or distracted with the latest WhatsApp features should try out one of the below apps like WhatsApp. Threema is the only messaging app that doesn’t prompt users to enter their phone number or email id for account registration. It generates a random user ID which you can use to send or receive messages and files anonymously. The Threema servers function as a postman. Its forwards messages to the users without knowing the content of the message. Once the message is delivered to the user, it is deleted from the server automatically. Threema employs end-to-end encryption to make sure that no one excluding the persons in your Threema contact list can see your status, profile picture, etc. Like WhatsApp, you can access Threema on the desktop. The app includes a contact verification system which prevents fake users from getting in touch with you. Threema enables you to backup your ID, messages, and other data. It supports emojis, group chats, dark/light theme etc. The app doesn’t support voice or video calling. Signal is a free messenger app like WhatsApp that uses top-class encryption algorithm for secure communication between two or more persons. As in WhatsApp, users must verify their phone numbers to use the Signal app. Once the application verifies your number, the server generates a pair of keys. Then, it deletes the number from the database. Once your key is ready, you can start communicating with your pals. Signal encrypts every bit of data sent/received by the user. It provides private video and voice calling feature. It enables you to manage linked devices. The app lets you import or export your SMS, chat history, etc. You can create encrypted groups and add members to it. Signal is an open-source app which means anyone with a good understanding of security protocols and encryption can verify the source code. The application lets you share files with other users. It provides several options in the settings interface. Google Allo is one of the most secure messaging apps ever. It provides incognito chatting feature which encrypts messages sent from the user’s device. The app enables you to send media files and messages to other Allo users. 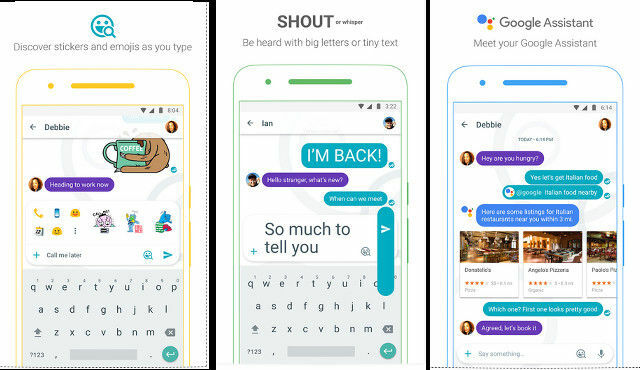 It lets you send SMS (text messages) to non-Allo users for free. Allo’s most interesting feature is its integration with Google Personal Assistant utility. The Google Assistant is similar to Apple Siri. When you ask a question to GA, it will display an answer. You can use the Google Assistant to find movie theaters, restaurant, pizza outlets, flight details, shopping malls nearby you. Google Allo has a better interface than WhatsApp messenger. You can send self-destructing messages, emojis, stickers to friends with this app. Google Allo has an inbuilt camera utility through which you can capture pictures and record videos. One more cool feature of Allo is that you can set a different chat theme for each contact. 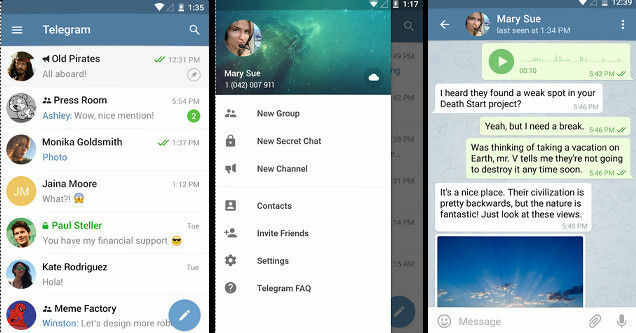 Telegram is an open-source messenger app like WhatsApp. It provides a secret chat feature which lets you set messages as self-destructing. The app allows you to share large files having size up to 1.5GB. It has a simple user interface and an option to sync messages from other devices to your phone. Users can create and manage groups in the Telegram app. WhatsApp lets you add up to 256 members to a group. Telegram groups can have up to 5000 members. Telegram lets you edit videos. It enables you to share GIF images and stickers with the users in your contact list. The application employs three powerful 256-bit algorithms to encrypt your messages. It prevents prying eyes from reading your messages by letting users set a passcode. It lets you set up bots for automating certain tasks, playing games, getting the latest news, weather information, etc. 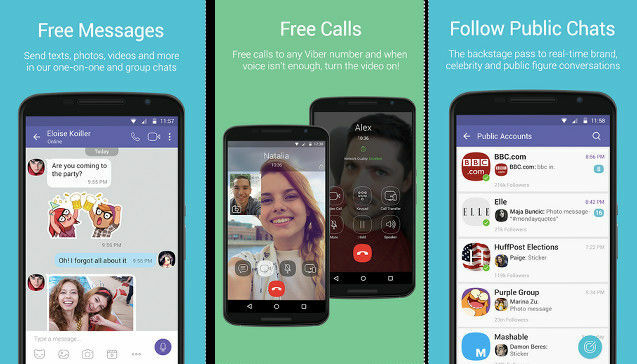 Viber enables you to make free video and voice calls to another Viber user. It also allows users to make international calls to non-Viber users for a cheap rate. Like WhatsApp, this application supports end-to-end encryption. Hence, hackers won’t be able to understand your message even if they manage to sniff it. The app features a sticker marketplace where you’ll find various types of paid and free stickers. It has a discover section where you’ll find groups of top brands, celebrities, sports stars, etc. You can follow or join a group which you find interesting in Viber. This instant messaging application enables users to back up their data on Google Drive. It supports file sharing and has the option to delete accidentally sent messages. This is a feature that WhatsApp and other similar apps like it lack. The app lets you express your emotions with a 30-second short video message. As Viber is fast and has some features that other top messaging apps don’t provide, it is a great alternative to the WhatApp messenger. Line has 500 million users and it is the 2nd most popular messaging app in the world. 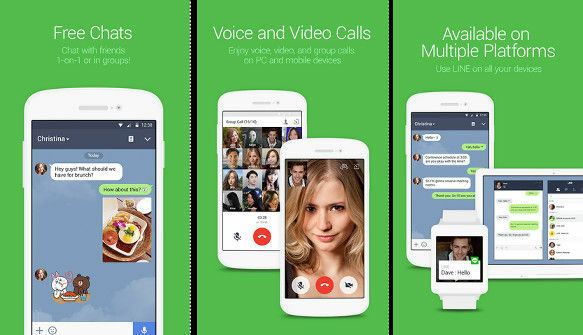 Apart from the Android OS, Line supports various mobile devices. You can also use this application on your PC. Like WhatsApp, the app has a tabbed interface. Line has a timeline feature where you’ll find the latest or previous status updates. The app lets you embed links, videos, location, emojis and photos in status and text messages. 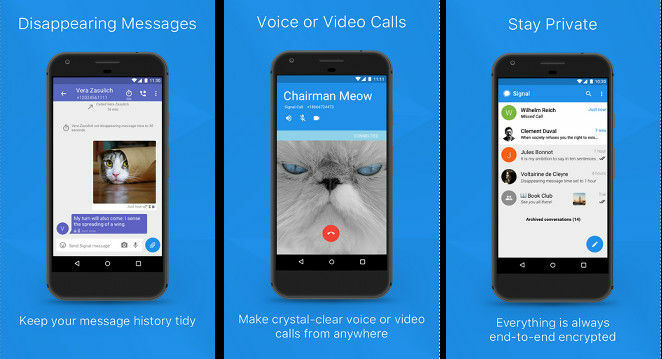 It enables users to make free voice and video calls. Line supports hashtags. If you want to make your status update public, you can add a hashtag to it. Line allows you to discover people nearby you. Like Viber, the application features a sticker marketplace. It lets you purchase new themes and create polls. It has an inbuilt QR code scanner. Line users can stay in touch with their favorite personalities by following their official accounts. It allows users to discover new apps and games. Line has a special feature called keep which you can use to save the media files received from other users. Signal, Threema, Viber, Telegram, Line and Google Allo are the best apps like WhatsApp.